Call (602) 466-2234 for a free estimate today! 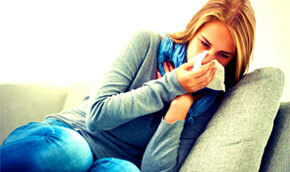 One of the most important reasons to have your air ducts cleaned is to improve the quality of your indoor air. According to NADCA, the average six-bedroom home creates approximately 40 pounds of dust that is circulated through your air vents every year. Your HVAC system is your home’s way of breathing; it takes air in and exhales it back out. Every day living, from you, your kids, and especially your pets, causes a significant amount of pollutants and contaminants that make their way into your air conditioning’s ducts. You can expect to find cat dander, dog hair, dust, and even chemicals being circulated throughout your house every time your air conditioner runs. In fact, when impurities make their way into your AC unit, they will be re-circulated anywhere from five to seven times a day. As this occurs, filth and grime builds up inside your ducts and contaminates the air you breathe. Having contaminants and pollutants built up inside your air conditioning system doesn’t necessarily mean that you are breathing unhealthy air; however, there is a serious concern for individuals with respiratory and other health conditions who inhale impurities. In effort to keep your indoor air quality as clean as possible, we recommend that you have your ducts professionally cleaned every two to three years. 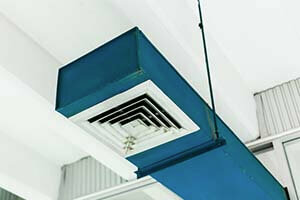 Of dangerous pollutants are too small to be removed by a standard HVAC system. See what real customers have to say about A-Z Air Duct Cleaning! I moved into a home in Gilbert that looked like it hadn’t been cleaned in 10 years, and was scared of what might be in the ducts after seeing the layer of grunge on the air filter. I called A-Z immediately to take care of that. Mike and Jacob arrived on time, and set to work. They were engaging and didn’t mind my questions. They showed me before and after pictures of the vents, cleaned everything thoroughly, including vent covers and cleaned up beautifully. In short, they did a fabulous job and were very engaging to work with. I just had service and couldn’t be happier. It’s been awhile since I gave someone a review so here it is. Pro’s- Account setup and request for service was EASY, the had AVAILABILITY for the time slot I required. Technicians, (Dainen & Joe) sent email as the dispatch had stated when they were en route to my address. Dainen & Joe showed up ON TIME, they were POSITIVE, PERSONABLE, FRIENDLY and I felt comfortable with them in my home and around my family. They WORKED HARD and my DUCTS ARE CLEAN. They look new. Mike and Sean just came by for our annual duct cleaning and, once again, I could not be happier with their service. They were prompt, professional, and even helped fix an issue with a loose vent cover (the plaster where the screw goes in had been stripped). The fee is the cheapest we’ve ever found since shopping around two years ago, but this is one case in which you don’t get what you pay for, you get far more. We plan to stick with the company every year for the next 27 years of our mortgage and would gladly recommend them. According to the EPA, the average home accumulates as much as 40 pounds of dust per year. Dust is full of more than dirt, containing everything that is in the air surrounding you. In fact, the air you breathe can cause allergies, asthma, and even make you ill.
Air Sealing is among the least understood options for your overall home HVAC efficiency. This is another effective way to protect your investment in your HVAC unit, as well as protect your air ducts and improve indoor air quality. Ultimately, this will lead you to a cleaner, less polluted home. The Air Scrubber Plus® air filtration system with ActivePure™ technology actively cleans the air of your home without effort on your part. This technology is proven to remove up to 99.9% of the harmful contaminants in your home using Certified Space Technology developed by NASA. Why Choose A-Z Air Duct? Watch the video to discover why for yourself! As the demand for air duct cleaning has increased, so has the number of companies willing to offer their services. 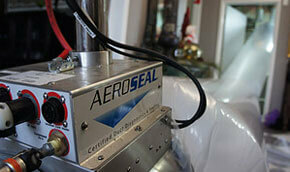 Yet, not all companies are ready to tackle the issue of air duct cleaning head on. A good air duct cleaning company is one that makes use of the right tools for the right job. As there are a number of tools that are used for HVAC Cleaning, the challenge is being able to choose the right one for the job. Getting your air ducts cleaned can be costly. But the fact that it is costly, doesn’t by any stretch of imagination mean that you should let your air ducts stay dirty and contaminate the air that you breathe. Where Else Have You Seen A-Z Air Duct?